The Dale Jones team of kitchen fitters have installed many beautiful tailor made kitchens throughout Preston and take a genuine pride in their work and a sense of craftsmanship in every kitchen installation. Take the headache and stress out of buying a fitted kitchen by calling Dale Jones Kitchens today. Our Kitchen fitters have earned an enviable reputation in the Preston area for quality, attention to detail and skill. 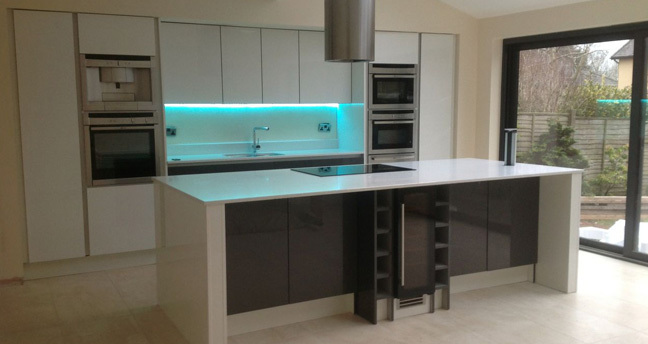 We will design plan and install your fitted kitchen to ensure the highest standards every step of the way . Dale Jones Kitchens will treat your house like a home not a building site and our kitchen fitters install your kitchen quickly and with the minimum of mess and inconvenience to you. Our skilled kitchen fitters will also make sure you have the best fitted kitchen in Preston, built with top quality appliances to your specifications and with a choice of work tops to compliment your décor and tastes. And of course our kitchen fitters will plan and project manage your kitchen installation to make sure the entire process runs as smoothly as possible from start to finish. So you can rest assured if it’s kitchen fitters in Preston that you need then the kitchen fitters from Dale Jones Kitchens are the best in the business and will build you a kitchen to be the envy of your friends and neighbours in Preston, and beyond with a stunning new kitchen fitted by Preston’s best, the fitters from Dale Jones kitchens. For the finest kitchen fitters in Preston at the best prices, no matter how large or small your kitchen Call the kitchen fitters from Dale Jones Kitchens on 07877 745 772 the name you can trust for kitchen fitters in Preston.